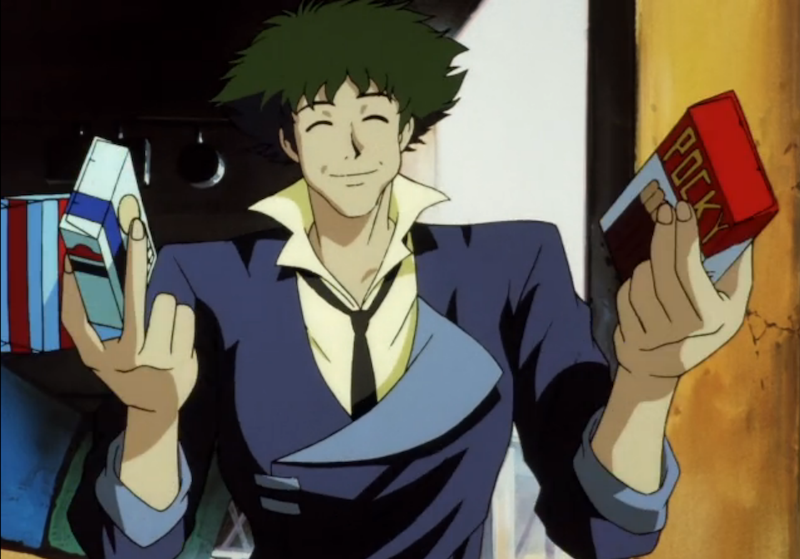 Cowboy Bebop Today, anime streaming services Crunchyroll and Funimation announced their new title-sharing partnership. Crunchyroll, whose service focuses on subtitled anime, will now offer dubbed titles from Funimation's summer simulcast. D. Dray-man Hallow, First Love Monster and Puzzle & Dragons X will be available to Crunchyroll viewers. Amazingly, Cowboy Bebop, PSYCHO-PASS and Grimgar of Fantasy and Ash will follow suit. Dub-centric Funimation will host Crunchy summer anime 91 Days, Mob Psycho 100 and Orange, all featured in our "Five Must-Watch Anime of Summer 2016" write-up. In the next few weeks, Free -Iwatobi Swim Club and The Testament of Sister New Devil will follow suit. The partnership is huge for U.S. anime fans who ping-pong between the two services for their varied subing and dubbing needs. Kun Gao, Crunchyroll's co-founder, told me that the idea came about when he ran into Funimation COO Mike DuBouise at a conference. There, they discussed their shared goal of growing the Eastern anime audience. When asked whether the collaboration means that Crunchyroll and Funimation are considering consolidating, DuBouise told me, "No. Funimation and Crunchyroll have entered into a distribution partnership. Our goal was not a merger. We will still continue to be separate companies serving the anime industry." ...will now offer dubbed titles from Funimation’s summer simulcast. That is not what the email says, it says they will be subtitled. This is good news if it means Australia gets access to those titles too. I always avoid Funimation's site because it asks me to do a Captcha before it even shows the site which is an incredibly weird thing to do and always feels like it has been hacked. I'd be surprised if the merger has any impact on us, Crunchyroll can't even get us the licence for Berserk. Inb4 the new Berserk is CGI and rubbish.